In this comprehensive, full-color guide Steven Horne and Thomas Easley provide detailed, easy-to-follow instructions for making and using approximately 250 herbal medicines at home and tell you everything you need to know about harvesting, preparing, and administering herbs in many different forms, including fresh, bulk dried herbs, capsules, extracts in water, alcohol, glycerin, vinegar and oil, and even preparations like essential oils and flower essences. The book also covers topical applications of herbs as salves, lotions, poultices, tooth powders, ear drops, and more, and includes an extensive chapter on herbal hydrotherapy. One of the unique features of this book is that it explains the principles of herbal formulation and provides instructions on the best ways to prepare hundreds of single herbs. 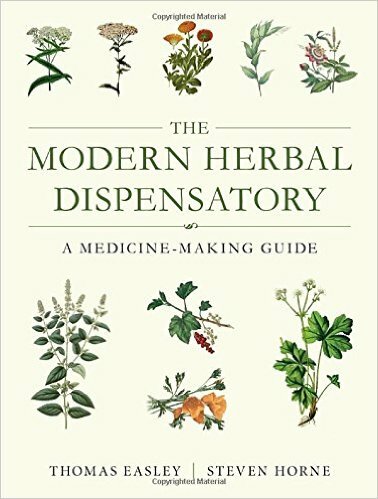 More comprehensive than any other guide, thoroughly researched, beautifully illustrated, and presented with ease of use in mind, this book will take its place as the premier reference for those who want to produce all the herbal remedies they need, and to save money in the process. Who's Afraid of the Big, Bad Flu? Every winter fear tactics are used to encourage people to get vaccines to protect themselves from the "dangerous" flu and every few years the news media hypes a new flu scare—swine flu, Asian flu, etc. In this Herbal Hour video Steven Horne explains why the flu is nothing to be afraid of and how you can both prevent and cure it with natural remedies. Forgive me for being cynical, but do you ever get the feeling that the news media is out to keep everybody in a constant state of fear? Yes, it's true that we could have an epidemic of the flu or some other contagious disease. It's also true that disasters can strike at any time. But if we're prepared with the right supplies and the right attitude, there's no reason to be afraid.